Some nano tech thoughts from Bali show a way to gain triple multi dimensional profits AND help the environment. Last March I was copied on an email about Bio Wash from Bali. The email was to Ted Tidwell who manufactures Bio Wash. Here are some excerpts from that email: There is good news for me from Indonesia. Dr. Krishna Pribadi will be personally working together with HydroGrow (brand of Bio Wash). Dr Pribadi did the original trials with Nanogreen and is back on board with PT Hydrotech as my Senior Scientific Advisor and has informed me he is doing a major project in Agriculture for the National Government through his Institute of Technology position. This is a major breakthrough as Dr Pribadi has national recognition as one of Indonesia’s leading scientists as a nuclear physicist in rocket instrumentation as part of the Indosat team. He did his doctorate at Carnegie Mellon. His knowledge base is very very broad and deep and agricultural science is now his focus as it has been at times in the past. He stated to me yesterday …quote “I have a 100 million mouths to feed”. That’s quite a challenge feeding 100 million… even more to do that and leave the soil in condition to feed our children and grandchildren as well. Ted wrote recently: In Dr. Pribadi’s official government sponsored tests, BioWash increased rice yields from the average two tons per hectare (2.5 acres) to 11 or 12 tons. It increased corn yields from 4-5 tons per hectare to 15. Bio Wash creates a triple profit boost to those who want to live and/or earn on a farm. This product adds a third dimension to multi dimensional farm property. The first profit is the wonderful, natural lifestyle of agriculture. The second profit comes from the second dimension of the land whatever it is… resale, development, rentals, or like at our North Carolina farm… a deep woods seminar center… whatever you see that others do not. The third profit comes from increasing the yield of your crops using Bio Wash.
We are using this tactic personally in three places. 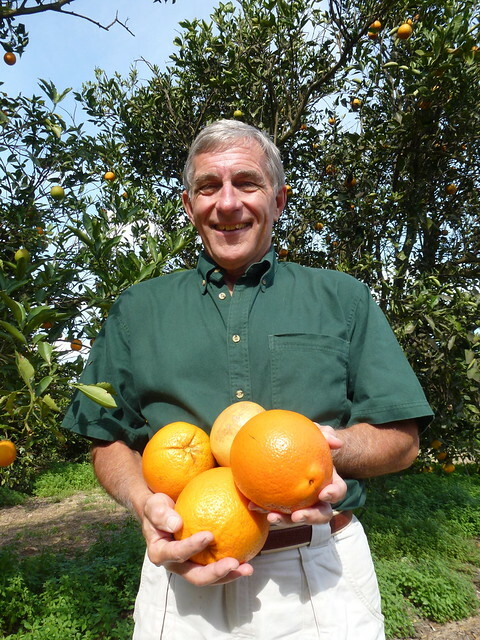 For example in Florida we use Bio Wash to increase our orange yield. In North Carolina the Bio Wash kills the Wooly Adelgid blight so I can maintain the existing environment and even provide the potential to start a hemlock nursery… a rare commodity in forests where this tree has been devastated. 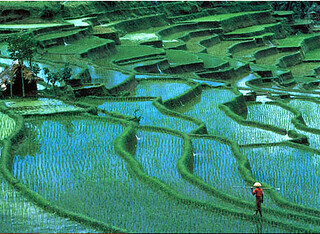 In Ecuador Jean Marie Butterlin who conducts the Ecuador multi dimensional farm tours is looking for rice paddies for sale. 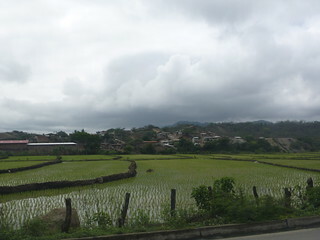 Ecuador rice paddies for sale are hard to find as they are very profitable so sell quickly. Purchasers with Bio Wash have an advantage if they look into rice or corn farming. If the average rice paddy averages two tons per hectare (2.5 acres) or a field produces corn yields four to five tons of corn per hectare then the paddies will be valued around this fact. If you can buy at a price based around two tons of rice or five tons of corn and increases yield 11 tons of rice or 15 tons of corn then you just about triple the value of the land or the income expected. This all natural bio degradable product offers a win win solutions to creating income, profit and a healthier environment. You can help the environment and improve income at a low cost in numerous ways… turning a multi dimensional opportunity into a triple dimensional property. Learn how to create a multi dimensional business opportunity at our Super Thinking + Investing and Business Seminar, February 1-2-3, 2013.